Harriet is the owner of HLS Healthcare Risk Solutions based in United Kingdom. She has worked within many kinds of healthcare environments, public, private and the third sector; across America and Europe. Her involvement with different healthcare accreditation schemes has enabled her to build up global experience in third party assurance in the fields of risk management, quality environment, and healthcare equipment. 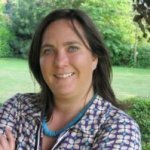 Over the past years she has been heavily involved with the review and implementation of international healthcare quality and risk standards for a large Norwegian company; and has researched and written a quality and safety standard for the NHS in England on behalf of the NHS Litigation Authority. Having now established her own company she is embarking on a number of different projects including working as a Specialist Advisor for the main healthcare regulator in England the Care Quality Commission (CQC), and working with International Accreditation Schemes.